Who doesn’t love meatballs? 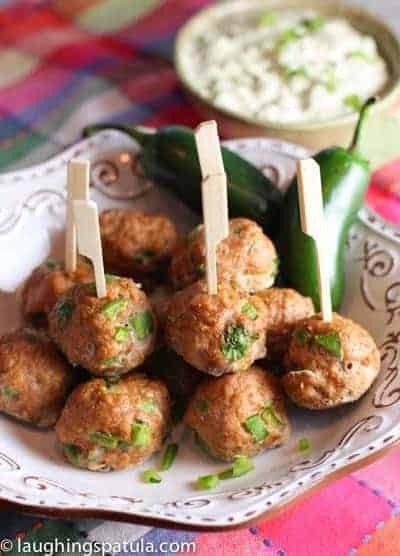 They are the perfect snack food and these Southwest Turkey Meatballs are low fat and delicious! Superbowl food! Hawks and Denver will go at it this Sunday and us Seattleites are pumped! Whoot! Whoot! We have been busy planning the food we are going to eat and drink for 2 weeks…not sure whats more exciting, the game or the grog!…spoken like a true food junkie huh? This recipe will definitely make the cut. 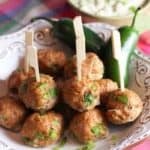 Lean ground turkey with jalepenos, cumin and a few other ingredients you most likely have on hand. All baked up and served with an easy creamy avocado dip. I use a mini ice cream scoop for size uniformity – I like all my balls lined up in a row…arn’t they pretty? Do try to make them the same size so they get done at the same time. The dip is simply avocado, sour cream, mayo and some cumin and more chopped jalapeno’s. 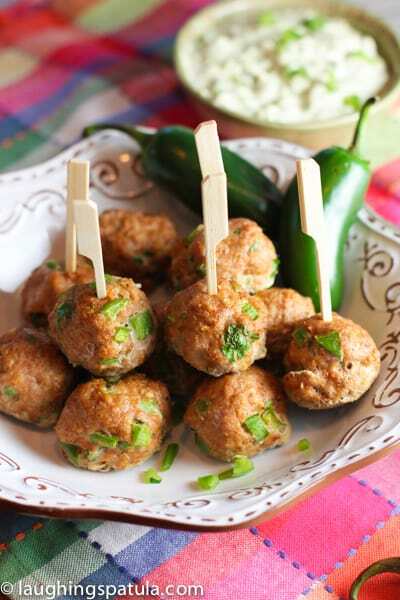 A healthy and super flavorful appetizer that everyone will love! 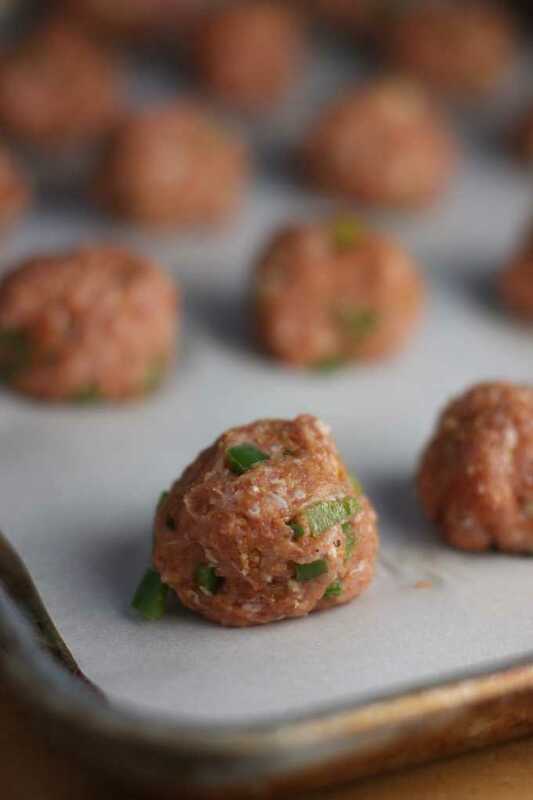 Form into 1-2 " balls and place on prepared baking sheet. Meanwhile - mix all dipping sauce ingredients together and put in fridge to chill. Serve meatballs on platter and sauce on the side. Toothpicks are optional! These were easy to throw together and they came out tasting amazing!! Can’t wait to see how everyone likes them when I take them to a potluck tomorrow. Thanks for the recipe! Thanks Kayla! I’m so glad you liked them! It’s a lovely blog you’ve got here! Thank you Jules! I took a peek at your blog as well and let me say you are doing a great job yourself! Thanks for visiting, hope you come back! Thank you so much, and by the way – posted these bad boys today, they turned out amazingly, all thanks to you 😀 Hope you are keeping well!